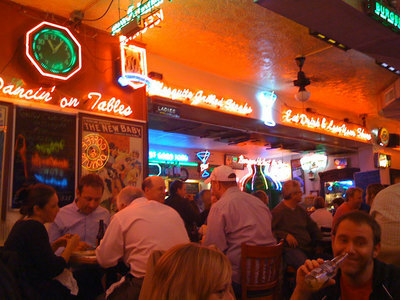 I’ve been to Terry’s Turf Club twice and have really enjoyed the burgers, the interesting neon decor, and the friendly service. It’s not a huge place so sometimes you have to stand and wait- maybe even more now with the added good publicity it’s been getting. But, I highly recommend it! If you like the burgers, you will LOVE the bloody mary’s!